As you are aware, the Rayford Road Safety and Mobility Project is under construction. The project includes installation of storm sewers in various locations along Geneva Drive. 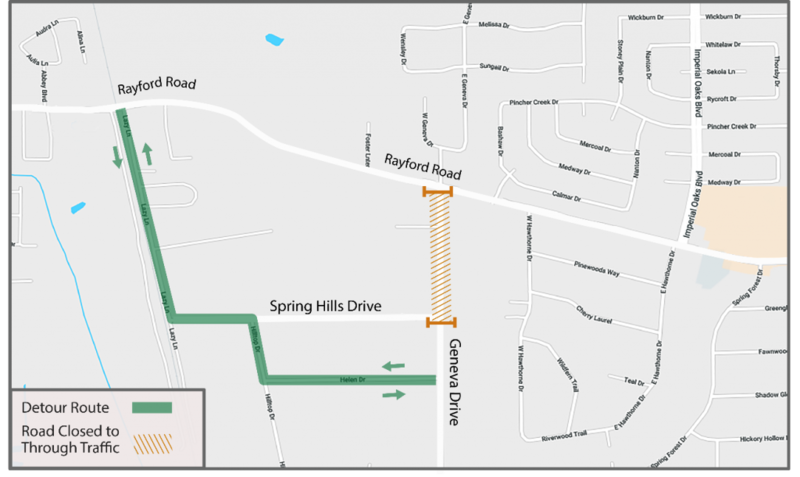 Our construction crews must temporarily close a portion of Geneva Drive from Rayford Road to Spring Hills Drive to install box culverts for stormwater. Access will be maintained to private driveways and properties but closed to through traffic. Through traffic will be detoured to Lazy Lane during the closure. 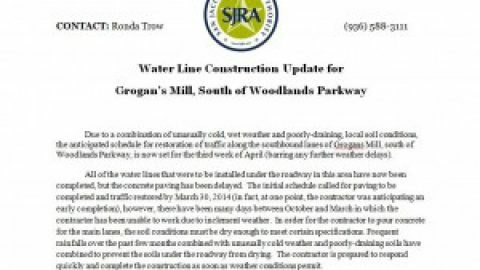 The closure is anticipated to start on November 29 and last approximately four to five weeks (weather permitting). Geneva Drive will be open to through traffic during the holidays (Dec. 23 to Jan. 1). As the work progresses we will keep you updated on any additional closures needed in early 2018. A map of the closure and detour is below and please contact us with any questions or concerns at (281) 624-6326 or Rayford.Road@mctx.org. Thank you for your continued patience as we work to provide these needed improvements. Noack is accepting purchase proposals for the 44,000-square-foot building located at 1520 Lake Front Circle in The Woodlands.